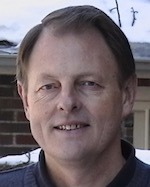 Jim Cummins is a Professor Emeritus at the Ontario Institute for Studies in Education of the University of Toronto. His research focuses on literacy development in educational contexts characterized by linguistic diversity. In numerous articles and books he has explored the nature of language proficiency and its relationship to literacy development with particular emphasis on the intersections of societal power relations, teacher-student identity negotiation, and literacy attainment. He is the author (with Margaret Early) of Identity Texts: The Collaborative Creation of Power in Multilingual Schools (Trentham Books). 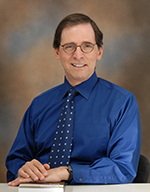 Dr. Gerard A. Postiglione is Chair Professor in Higher Education, Faculty of Education, The University of Hong Kong. He is former Associate Dean for Research and Head of the Division of Policy, Administration and Social Science Education. He has published 16 books and over 150 articles and chapters. His books include: Mass Higher Education in East Asia, Crossing Borders in East Asian Higher Education, Asian Higher Education, Education and Social Change in China, and China’s Precarious Balance (forthcoming with Johns Hopkins University Press). He is editor of Chinese Education and Society, and four book series about education in China. In 2006, he received the Outstanding Research Supervisor Award from The University of Hong Kong. In 2011, he received the Best Book Award from the North American Comparative and International Education Society. In 2014, he received the Humanities and Social Science Prestigious Fellowship Award by the Hong Kong Government Research Grants Council. In 2015, he received a Life me Contribution Award from the North American Comparative and International Education Society for studies in higher education. In 2016, he was inducted as a Fellow of the American Educational Research Association for his contribution to research. In 2016, his autobiography was published in Leaders in the Sociology of Education. In 2017, he received a second Best Book Award. A collection of his research works was published by Routledge Press in 2018.